The Group's pre-tax profit of RM35.7 million in Q32018 increased by 61.7% compared to Q32017 mainly due to unrealised foreign exchange gain of RM16.3 million as against Q32017's unrealised foreign exchange gain of RM2.9 million. The decrease in the Group's YTD2018 pre-tax profit by 91.1% compared to YTD2017 arose mainly from unrealised foreign exchange losses of RM37.5 million recognised for the Group's overseas investments. Higher profit before tax for Q32018 and YTD2018 were achieved as compared to last year corresponding periods were mainly due to lower building maintenance costs and staff costs. The losses for the quarter and year-to-date period arose from marketing costs on AIRA Residence incurred and corporate and administrative costs allocated to this division, which exceeded the recognised gross profit. For YTD2018, the Group recorded higher dividend income from overseas investments. However, there were lower interest income from overseas investments and lower distribution income from local unit trust placements. Gains in Q32018 was offset by a fair value loss of RM4.0 million recognised for the Group's financial assets (FVTPL). YTD2018 loss included a foreign exchange loss of RM37.5 million as the Ringgit strengthened against USD and SGD in the current period, while a foreign exchange gain of RM30.1 million was registered in YTD2017. Fair value loss of RM13.1 million was recognised in YTD2018, compared to a fair value gain of RM3.6 million recognised in YTD 2017. Australian operations recorded a higher profit for Q32018 compared to Q32017 in line with higher revenue, offset by lower other income. The Group's pre-tax profit of RM35.7 million in Q32018 improved over pre-tax loss of RM10.1 million in Q22018 was mainly due to an unrealised foreign exchange gain of RM16.3 million recognised for the Group's overseas investments in the current quarter. Property investment recorded a profit before tax of RM7.1 million for the current quarter compared to a profit before tax of RM7.0 million in the immediate preceding quarter. For the quarter under review, the pre-tax loss of property development division decreased from RM3.9 million in Q22018 to RM2.0 million in Q32018 was mainly due to a gain of RM1.4 million from sale of a small parcel of undeveloped land in Bukit Permata coupled with lower administrative costs. The quarter under review recorded a gain of RM19.4 million compared to a loss of RM5.0 million in Q22018. In Q32018, it recorded a profit of RM10.6 million as compared to RM12.0 million in the Q22018. The lower profit in the current quarter was mainly due to lower rental income from investment properties, mitigated by higher income distribution from land development projects and lower finance costs. While the Malaysian economy is expected to grow at 5.4% in 2018 driven by domestic demand, the property market is expected to remained subdued due to the prevalent oversupply of the commercial and office space, and the residential sub-sectors. In view of the situation, the previous Government had decided in November 2017 to temporarily freeze residential developments priced above RM1 million with the aim of alleviating the oversupply and this policy has not changed. With the soft property market condition, the Group is increasing marketing efforts to drive sales of units in AIRA Residence project. The overseas investments which are held in foreign currencies will continue to be affected by fluctuations in foreign exchange. In order to facilitate the query of the company and stock picking articles and videos I have written, an index has been produced. 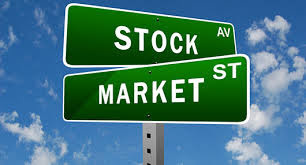 Everyone can find company and stock picking articles and videos from https://klse.i3investor.com/blogs/general/179460.jsp by date.